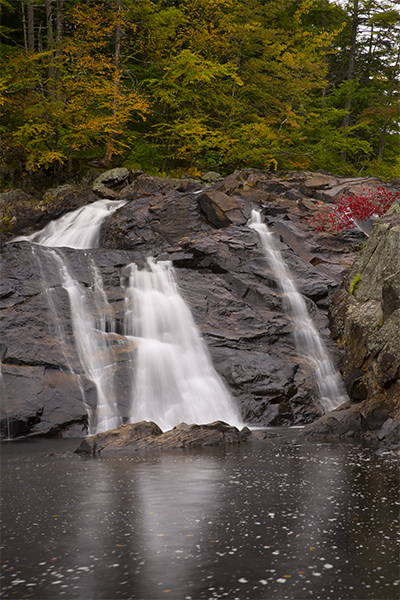 Despite being located so close to the road, and for being part of a town park, this waterfall was very surprising. 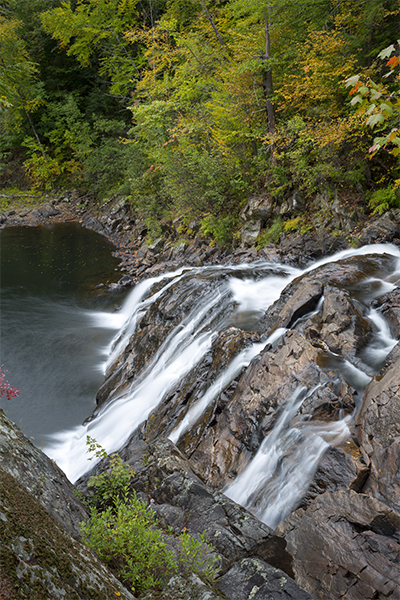 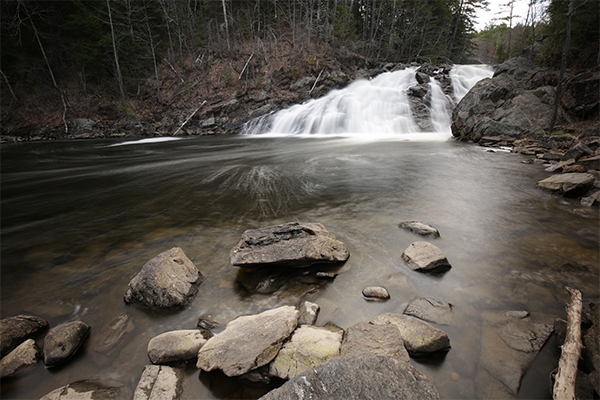 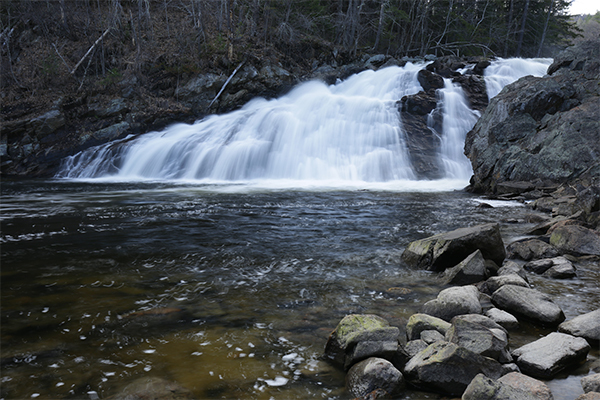 Who knew that this portion of New Hampshire had such a mighty river with a dominant waterfall? 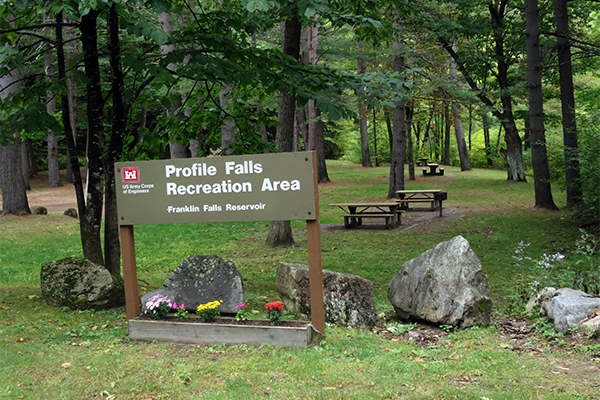 This waterfall, a horsetail that fans dramatically across an elongated ledge, is just a portion of the park, which offers lots of trails to explore (some suitable for mountain biking), picnic tables, and charcoal grills. 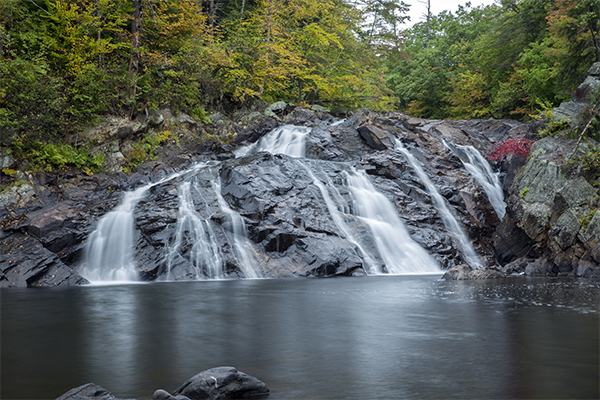 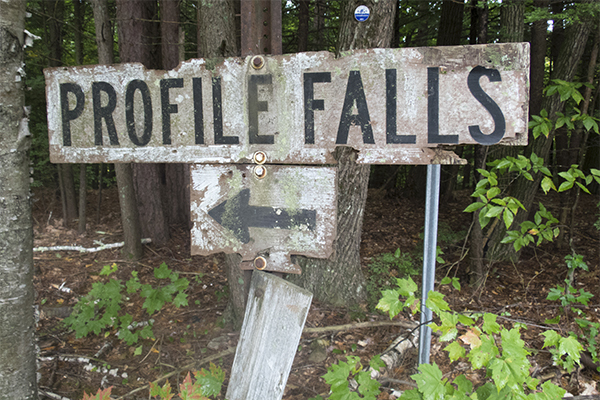 Profile Falls is a favorite waterfall for fishing, so be sure to bring your pole and fishing license, as you are very likely to catch some trout or even salmon if the season is right. 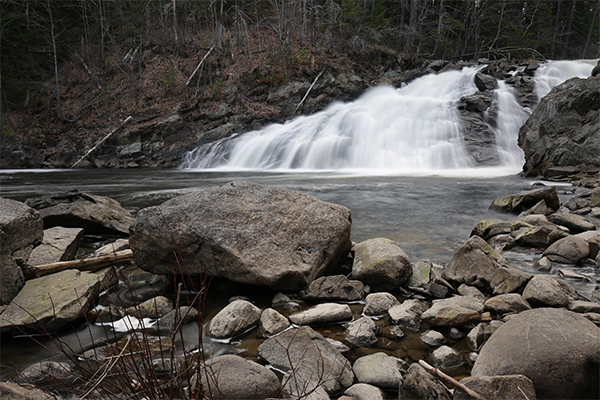 There is one clear downside to the falls: the water sometimes emits an odor that some would consider to be a bit off-putting. 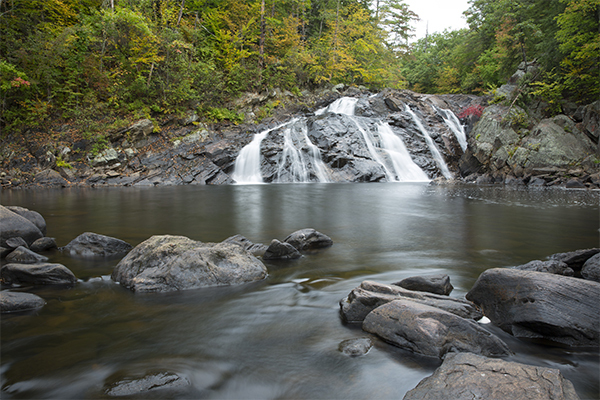 It is unknown if the smell is from the river or not, but it can be strong enough to make you think twice about swimming in the huge, deep, and dark pool at the base of the falls.